The zombies have escaped Zombie Park! The plague has brought the dead to life and their hunger for the living is insatiable. The Zombie Park has been overrun and the dead have been unleashed upon the city causing horrific deaths in their path. How was the park overrun? Who let the zombies out of their enclosures? Will the military drop a nuclear bomb on Valparaiso, Indiana, in order to keep the zombie plague from spreading any further and is there any way to survive once you're trapped in the middle of the starving corpses? Persephone Rose takes what would be an average Zombie action story and elevates it with their narration. 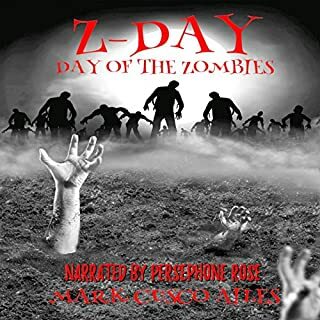 If you like zombies and need a reminder in why you subscribe to audible instead of just reading then check this one out. The narration alone makes it worth it.